Yisroel Roll | Psychotherapy, techniques and programs to build self confidence, self esteem, resilience and overcome anxiety. A new therapeutic approach which merges the four existing main approaches to psychotherapy, namely, psychoanalytic, cognitive, behavioral and existential, into one holistic approach called Conscious Therapy. 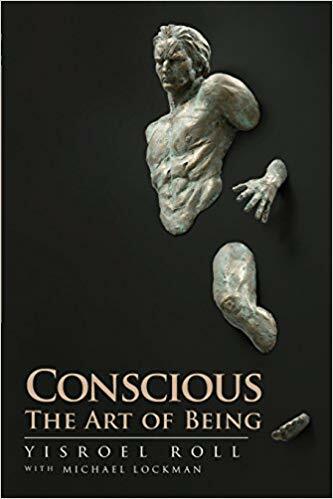 In a ground-breaking new book, Conscious-the Art of Being, psychotherapist and motivational speaker, Yisroel Roll, unveils Conscious Therapy, the Unified Master Theory of Everything in Psychotherapy. Innovative, life-enhancing, and scientifically tested, Roll’s new therapeutic approach merges the four existing main approaches to psychotherapy, namely, psychoanalytic, cognitive, behavioral and existential, into one holistic approach called Conscious Therapy. This new approach to therapy and self-knowledge reveals the driving force of personality, called “consciousness,” which is achieved through self-understanding, selfhood and identity formation. 1. Wheel of Strengths—Cognitive awareness of the clients’ intellect, social skills, character traits, spirituality, family contribution and personal growth. 3. Circle of Control—a behavioral awareness of what the client can do to respond to stimuli and events which are outside her locus of control, by accessing those thoughts, actions, words and reactions, which are inside the client’s locus of control. 4. Thought Highway—Client practices a mindfulness technique to recognize and allow negative thoughts to pass like trucks on a highway. 6. Inner Child—Becoming aware of and healing the emotional pain, and unfinished business of childhood emotional pain so that the Inner Child no longer controls the Adult Self. 7. Client chooses the approach of self-love and validation over the paralyzing fear of anxiety. The interactive strategies and techniques presented to the client require him to perform daily homework journaling exercises. The book includes a study which examines the impact of Conscious Therapy on clients suffering from Generalized Anxiety Disorder. A sample of 30 patients who are suffering from Generalized Anxiety Disorder were selected to receive bi-weekly sessions of Conscious Therapy over a period of five months, for a total of ten sessions. For data collection The Hamilton Anxiety Rating Scale (HAM-A) and the Rosenberg Self-esteem Scale were used. The results indicated that those patients who performed the weekly homework of Conscious Therapy during and between therapy sessions, reduced their self-reported anxiety symptoms by 3-81%. Those patients who did not perform the weekly Conscious Therapy homework did not reduce their anxiety symptoms. The study’s major findings revealed that adherence to a program designed to increase consciousness was a predictor of reduced anxiety and better interpersonal functioning. Consciousness of a client’s cognitive, emotional and behavioral dimensions leads to “selfhood.” When a client discovers a sense of “self,” she can more readily cope with and handle a presenting challenge by marshalling her cognitive, emotional and behavioral strengths to solve or to cope with the challenge; this reduces the anxiety attendant upon the stressful process of dealing with a psychosocial stressor. Physicists have been seeking the Theory of Everything (ToE) in Physics (also known as the Grand United Theory, Final Theory, Ultimate Theory, or Master Theory) which is a hypothetical single, all-encompassing, coherent theoretical framework of physics that fully explains and links together all physical aspects of the universe. One of the major unsolved problems in physics, scientists are now trying to find the underlying Theory of Everything to combine General Relativity and Quantum Field Theory into one unifying theory. The author suggests that Conscious Therapy is the Theory of Everything in psychotherapy because it is an all-encompassing Experiential/Gestalt therapeutic approach which teaches a client about “selfhood” and the components of self, namely his mind, feelings and actions. The feelings are the central, driving force of personality, and Conscious Therapy guides a client to make a “conscious choice” between reacting with an instinctive, impulsive body response, or, reacting with a mind-based, thoughtful, cognitive response. Conscious Therapy helps a client access the “self” or “I,” in order to direct the “me,” and to react to the crisis or challenge in a conscious, healthy manner, thus reducing anxiety that is usually associated with dealing with stressful situations. The book is an outgrowth of Yisroel Roll’s twenty years of individual and group counseling experience. Watch this five-part series previewing Yisroel Roll’s Believe in Yourself Workshop. Listen to the Rabbi Yisroel Roll’s Torah Umesorah presentation entitled Believe in Yourself Leadership Training Program: Teaching Self Confidence, Emotional Intelligence and Resilience to Middle and High School Students. You can also click here to download it. International experts on Jewish thought speak about contemporary issues, including Jewish feminism, faith, medical ethics, and spirituality. Yehoshua ben Levi said: All creatures of the creation were brought into being with their full stature, their full capacities, and their full beauty, as it says (Bereishis 2:1), “And the heaven and the earth were finished, and all their hosts (tzevaam).” Read not tzevaam but tzivyonam (their desires). Rashi comments on “לדעתן”: Hashem told them that they would be created and they agreed, and on “צביונם”: In the form that they chose for themselves. Rabbeinu Bachya states that when every person is about to be created Hashem informs each of them of all the events that would happen to them, including the quality of their lives and the manner of their eventual death … including the quality of their livelihood, whether it would be plentiful or meager, whether they would be self-employed or employed by others. Every person wanted what they were shown and accepted their destiny. Rashi states that Hashem asks each man if he wants to be created. This means, He asks them if they want to be created male or female, rich or poor, strong or weak, tall or short. And He also informs them of all the circumstances, incidents, and events that will occur to them in their lifetimes, and the quality of their life and their death — if by natural causes or an unusual death. And their livelihood, if with ease of with difficulty; if they want to be self-employed or to work for others. And in the precise way that one wants to be created, G-d creates him. The Shaar bas Rabim further notes: Each man chooses his own form and circumstances and chooses exactly the way in which he is created; before he is born he sees, while still in Shamayim, that which is truly beneficial for him in order to be worthy, through the circumstances of his life in this world, to enter the World to Come, in accordance with his previous incarnations and based on what he needs to correct. In Shamayim, it is known what a man must achieve in this world. The sefer Sheva Yipol Tzaddik (Rav Yitzchak Tufik) adds: Therefore, no man can complain that his fellow man was created differently from him, because he chose his own life circumstances. These are all normal, understandable reactions to crises. The truth is, however, that we can handle the crisis and either solve it, learn to deal with it, or learn to cope with our inability to solve it. As an analogy: Imagine a surgeon preparing to perform an experimental medical procedure for the first time. He completes his research, consults with colleagues, tests the medical equipment, and ensures that the computer’s software is operational. He feels ready and enters the operating theater. As the procedure is underway he may feel overwhelmed or lose focus, but he utilizes the calming techniques he learned during his surgical training and reminds himself that he does in fact have the training, knowledge, equipment, and ability to perform the procedure. Once he grounds himself emotionally, he is able to complete the procedure. The Gemara in Rosh Hashanah, above, is teaching us an essential lesson, perhaps one of the most important life messages: you can succeed. You know the mission that you were sent here to accomplish, and you agreed to it before you were born. You were shown what you needed to achieve and you accepted the task. You were given the tools to complete the job. Now, you must exercise bitachon — in G-d and in yourself — and know with confidence that you can surely accomplish the task, simply because it’s been given to you. The very fact that you are facing this challenge means you can succeed in it. 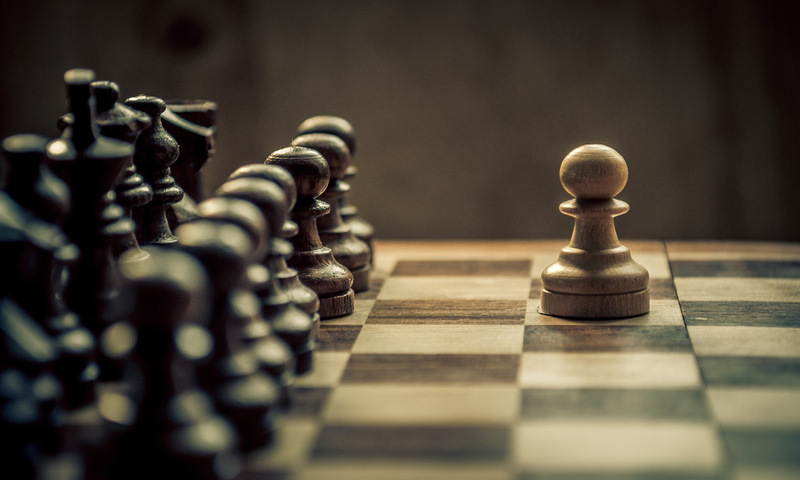 The Ramban tells us that a person is not given a challenge that he cannot achieve. The Ramban comments (Shaar HaG’mul): “Hashem only tests a person whom He knows can handle the test. The Torah states (Bereishis 1:11) “ And G-d said: “Let the earth put forth grass, herb yielding seed, and fruit tree bearing fruit after its kind whose seed is within it upon the earth,” and it was so. Rashi comments on the words “פרי עץ — fruit tree” that the flavor of the bark should have been like the flavor of the fruit. But the earth did not do so. Rather, the verse states: “And the earth brought forth trees yielding fruit,” but the tree itself was not fruit. Does a tree have free will that it can decide whether to fulfill Hashem’s will? A tree represents process of production and fruit represents goal, or purpose. The tree, with its systems of photosynthesis, xylem, and phloem is the production machinery that eventually produces the result: the fruit. Hashem commanded that the process and the product “taste the same.” Hashem intended that the taste, the essence, should be experienced just as much during the process of production as in the result. In other words, Hashem intended that we understand the process of becoming who we are supposed to become is as meaningful as the result or eventual outcome — being a fully developed person. However, the tree did not grasp this. In this world we see the process of becoming who we are supposed to become as a painful process. It tastes to us as bitter as the bark of the tree. We see the process of ordeals and crises as separate and distinct from the eventual result. Therefore, in this world, we see the process as bitter and the result as sweet. We fail to see the connection between process and result. We fail to see that in order to taste the sweet fruit we have to go through the process of producing the fruit and becoming the person we are supposed to become. In this world, we experience the pain of challenge and ordeals as bitterness and darkness. We are unable to appreciate that these pains are actually birth pains — of the self we are destined to become. We fail to realize that the pain and the result are one and the same. According to the Gemara cited above (Rosh Hashanah 11a) each person knew this when he was in the World of Souls and agreed to undertake the mission of becoming himself. Our task is to realize and integrate this while in this world — and to seek the taste of fruit in the bitterness of the process. The greatest gift that Hashem has given us is to be able to grow closer to Him, as David HaMelech says (Tehillim 73:28) “But as for me, the nearness of G-d is my good.” We have the opportunity to come closer to Hashem by acting like Him. This is how we must approach each challenge, as difficult as it may seem when we are going through it. It is up to us to live with the awareness that the challenge being sent to us is meant to bring out a character trait within us that will help us better emulate Hashem and achieve our destiny. I received this letter, written by Jackie Moskowitz Shafron, after facilitating a workshop in Dallas, Texas. What a powerful testimonial! Thank you Andi for helping us arrange the Conference Room for Rabbi Roll! It was a true success…not only did teachers, Rabbis, and therapists show up, but we had professionals from Mesorah, TDSD, Levine, Akiba and JFS which made it even MORE amazing. It was truly a unifying experience as we all brainstormed ideas of how we can best serve all of our Jewish students, regardless of what school they attend! Rabbi Roll suggested a follow up, perhaps once a month, with a staffing group whereby we all discuss/brainstorm creative strategies to help our students succeed. We talked about having have mental health professionals attend these groups and use Rabbi Roll’s framework of “Wheel of Strengths,” which we were all exposed to vis a vis his Sunday presentation, to generate creative ideas and solutions for difficult cases. (Obviously, no names or identifying information is needed; this is confidential and the way in which we speak about students will be general and anonymous). The goal is to come up with various strategies and ways to help children connect with their own internal gifts/strengths, which may likely NOT be academic in nature. Obviously, only a small percentage of children are in the top 10 to 20% of academic excellence. These students are typically nurtured by an academic environment since they excel in such. They are able to develop positive internal constructs of themselves and internal models of competency and self esteem based on academic performance and school functioning. However, many children do not fall into that category. The question is how can we be certain that we, as educators, parents, Rabbis, etc. maximize every single student’s unique potential for success and internal constructs of competence, especially if it does not fall within the traditional academic realm. The workshop encouraged and challenged us to create in-school programming, in-class activities, and specific, consistent cognitive strategies that support students’ positive self-reflection, especially those within the non-academic purviews, and to begin such in the early grades. It was so wonderful to have everyone sharing and supporting one another. We really thank you for enabling this to happen at Akiba. It was truly a Kiddush Hashem!! And Rabbi Roll was an amazing workshop facilitator, as he brought to the forefront an important topic that teachers and educators, as well as mental health professionals, struggle with daily. How do we ensure that each beautiful child can experience their own internal gifts/strengths/character traits, given to them by Hashem, and use these internal constructs as protection or ‘armor,’ if you will, against negative events. (We know that the numbers of children being diagnosed with anxiety/depression or some combination of the two has been rising at alarming rates!). This aspect of resilience is a psychological construct that has gained center stage over the last decade and is, along with IQ and academic achievement, a most powerful predictor of future success. 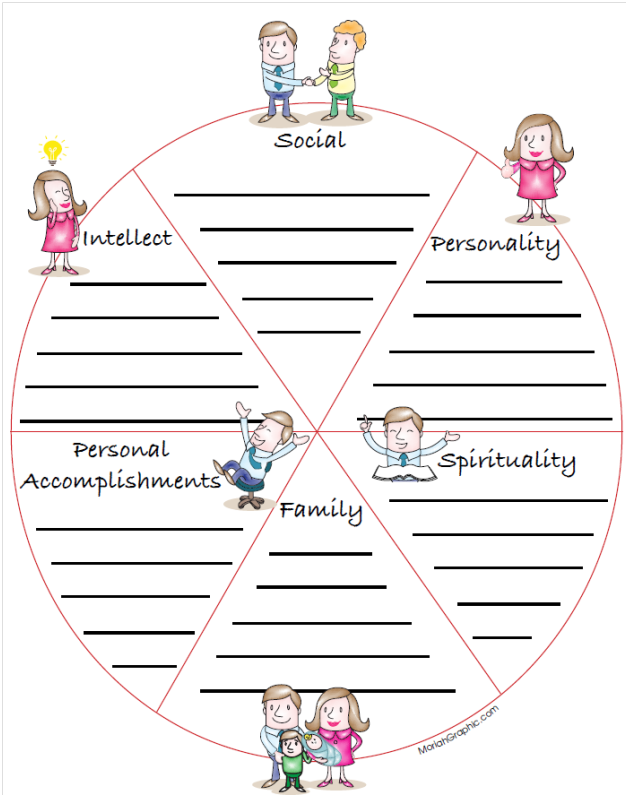 We must arm our children with their ‘Wheel of Strengths,” given to them by the Almighty Creator, nurtured and expanded by parents, family, school, teachers, Rebbeim and educators, and ultimately internalized by students to create a grounded sense of their own unique selves that can sustain life’s battleground. We all want our children to be adequately prepared for the world, and to be resilient enough to get back up when the world knocks them down. Sheva Yipol Tzadik V’kam (A tzadik falls seven times and gets up) — we need to focus on helping our children know how to get back up! Ivan is arranging for Rabbi Roll to return some time after Pesach. I will keep you posted!